My daughter, two friends and myself saw in the Northern horizon something glittering. The sky was very clear, no clouds at all. The glittering effect kept on for some time, enough to make us interested to start observing the sight. Gradually a group of spherical objects was clearly approaching moving South-South East at an apparently high speed, in a parabolic line , giving the impression that they occassionally hovered. The observation was very clear and kept for at least 20 minutes. For some moments they were close enough to be counted to be 12. They followed a very smouth pattern and moved at an almost unchanged formation. People passing by got also interested and at a point there must have been at least 20-25 people stirring at the sky watching the objects. They were NOT a bunch of metallic Helium baloons that got loose, nevertheless one could have mistaken them for such had they not been travelling so fast and being so large. Actual size of objects cannot be estimated, but they were clearly viewed to be spherical and metallic, 12 in number and travelling at an altitude of aproximately 500-1000 feet. They appeared on the North side of the horizon and faded away towards the South-South East having passed directly above us. The observation spot was an elevated hill close to the sea, so the perimetrical horizon was extended. NOTE: The above image is a rendering. Thanks to MUFON CMS system. I was walking my son on Ring Drive with one of my dogs. My son has a thing for aircraft and pointed out these two objects in the distance. At first glance I realized that these were not fixed wing aircraft. The two objects were following each other too closely and in tandem with each other. So, I whipped out my camera and was able to video both objects, unfortunately I only have a few seconds of far less than ideal video because the objects started performing odd maneuvers and zipped off before I could get to a different vantage point. Of what I could see prior to video taping and during the taping was two flattened disc like objects that were very bright and they would move vertically up and down quickly, but with syncronisity to one another. Once I tried to stop video taping in order to gain a better perspective but both objects moved at an upward angle with a very fast rate of climb, interestingly enough neither object tilted during the high rate of climb. I guess my feelings are that we are not alone in this universe. I’ve been living in Groton CT for a few years and yes we live near an airport but in no way, shape or form was this a conventional aircraft. We see dozens of planes that fly by our house and this looked nothing like any of them. 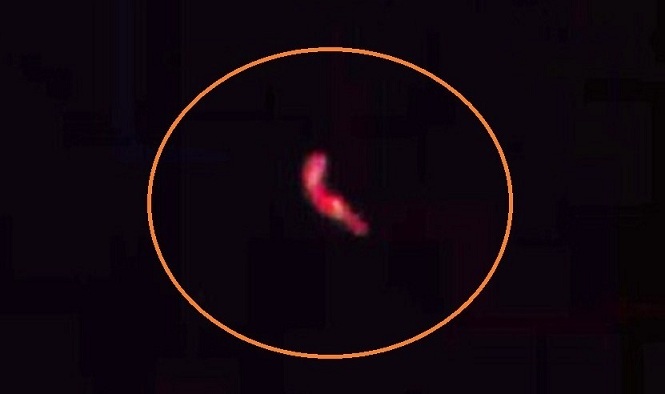 I believe this is a UFO hotspot and have been taking notice for quite some time now; recently, Ive been packing my video camera along for my walks with my son because of all the activity that I noticed. I think that some of the supporting factors for the high activity are related to the fact that the Groton Nuclear Sub Base, General Dynamics and National Gurad installation at the airport. I’m sure it can be said that historically Groton CT isn’t a UFO “Hot Spot”. I can’t argue with the facts however it is my personal belief that at this present time, it could be, and maybe someone will read this and start observing the skies whenever they are in this town. 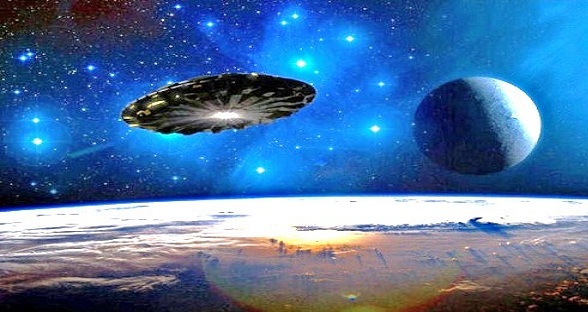 On a side note, it would seem that these objects have some sort of curiosity regarding us and after a bit of research I found that technology and nuclear weapons seem to invoke a curiosity or affinity on behalf of these UFOs or dare I say extraterrestrial beings. Thank you for reading my experience. NOTE: The above image is a rendering. KENS NOTE: I was involved in a MUFON Star Team investigation a couple years ago in New London. Groton is right across the river from New London and this area is home of the Coast Guard Academy, Nuclear submarine pens, General Dynamics Corporation and a nuclear plant located a short distance away. Perfect area for Alien craft to visit. I was nearing the end of a flight from Calgary Canada, to London Gatwick airport. I had a window seat facing to the left of the aircraft. We had just flown over England, and had just turned from flying east along the southern coast to heading north towards the airport. We were around 500ft+ above the ground but it was close enough for me to observe cities and roads from a great height. I was minding my business just looking out the window and a metallic sphere caught my eye. It was completely spherical and was traveling at a great speed. It did not appear to make a sound or have any visible form of propulsion. It was simply a metallic sphere flying at a great speed, however fast enough to be observed. The total time of the encounter lasted about 6 or 7 seconds. 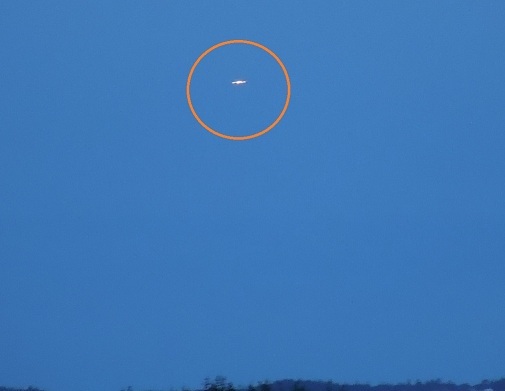 Id been watching UFO hunters recently and I thought that it must be weird to see something in the sky and instantly know it wasn’t normal or that it didn’t make sound. I wouldn’t say I’m a skeptic but I just found it all very interesting. Then I stumble across this sphere. I can guarantee 100% that I was not mistaken for any kind of helicopter/aircraft. There was no propulsion and it was moving silent very fast. 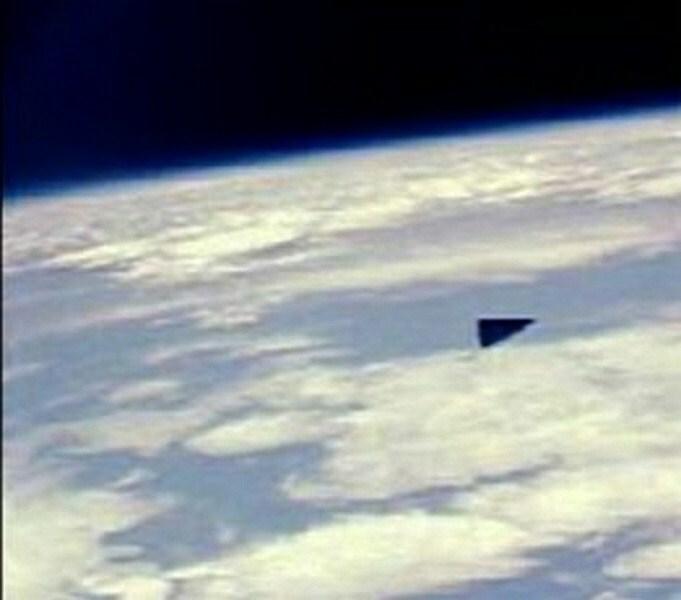 Its interesting because most UFOS caught in daytime are Triangles over California. So to see a sphere is very different, and unlike a triangle, there is no relation of a spherical craft to any current aircraft models. 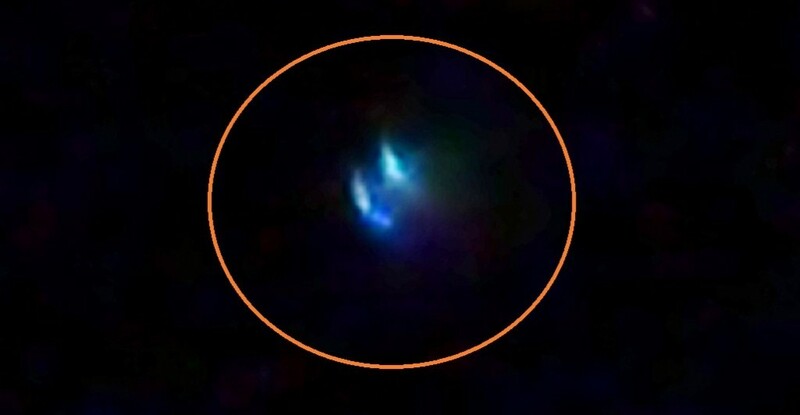 It is possible that the object was disc shaped but I was observing it directly from above (making it appear spherical) the craft moved at an incredible speed. NOTE: The above image is a rendering. I was near Sand Lake with my friend Jeff, we had set up a pop-up blind earlier in the day (very near a sea osprey preserve) in hopes of scoring a big buck. After midnite we walked from the back side of my grandfathers property to the area near where we had put the blind. The area of the osprey preserve is roughly the size of a football field and it is wide open wetland inside of that area. It is surrounded by trees. As Jeff and I came in through the trees we were about 50 feet from the open area, when we saw what we thought were 2 sets of headlights. I shined my spotlight at them, and Jeff got angry, because we thought they were the DNR (Department of Natural Resources), which spells trouble for two hunters in the middle of the night. As soon as I spotlighted what we thought were ATVs the lights moved faster than anything I have ever seen, through the trees right up to twenty feet in front of us and hovered, at head leval. We were both armed with full magazines, with our guns aimed at the light that was directly in front of each of us. We were paralized standing for approx. 10 minutes. We got a good look at them, but they are difficult to describe. 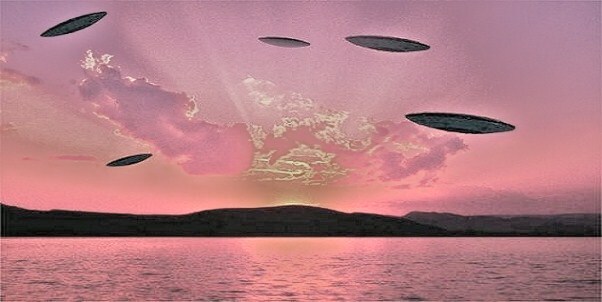 They were the size of a volleyball and seemed to be melting neon light, pink,purple,deep blue,and green. And as I said we couldnt move at all. I remember being stuck like that for what seemed like two minutes, but to Jeff seemed more like ten minutes. It let go of us at the same time and we fell down, and clawed dirt trying to get away, until we both had a big tree at our backs. As we were on the ground the lights had moved with us, still maintainig the 20 foot distance from us. Then all at once it ascended so fast you almost couldn’t see it doing it, like in the blink of the eye. This really happened. Jeff was former military with security clearance and he said that it was not man made, and had never seen anything like it. NOTE The above image is a rendering. I was going home on Hickory Level rd from Villa Rica, I came around curve and this UFO was hovering over the large pasture on the road. It was not much higher than the treetops. The shape was sort of like the egyptian eye in hieroglyphs. The dome on top came almost to a point,the bottom rounded the middle was visibly more clear with two large bright lights on either side. the craft looked like it was 3 sections. the top had red lights on the right side, the left was green, the bottm the light were opposite and randomly flashing. It stayed with me for approx 2 to 2 1/2 miles. When no sound. I couldn’t pull over because of the mud so when I had a chance to turned around, it took off. Strange thing is on Fri my Daughter, who lives in Villa Rica said she saw basically the same thing from their porch on the previous Sat. NOTE: The above image is a rendering. It was a warm bright sunny cloudless deep blue sky. I saw an unusual looking object as I exited my car to go walking. At first I thought it was a balloon that perhaps an elementary school nearby had released. It got my attention because it was flying in an unusual pattern. It would hoover than it would go slow and then it would move quickly. As I stared at it I could see a blinking white to yellowish light. It went behind some trees so I moved to get a better look. Then another one appeared of the same type and description flying in the same direction. Seconds later a third one appeared and they were then all traveling at a high rate of speed. Suddenly from west there appeared a whole swam of objects with flashing light. They were all white and flying at a high rate of speed. They had rapidly flashing lights and almost looked like a swarm of birds because of the chaotic pattern or grouping of objects. They went from directly overhead to over the horizon in about 6 seconds or less. They were not planes or birds. I was amazed because I have never seen anything like this except for the films of UFO sightings in Mexico where you have a large swarm of objects. I tried to shoot a picture with my i-phone but was too nervous to get a shot off in time. It was absolutely amazing. I go to the local airshow all of the time in Smyrna and I have never seen anything close to what I saw. The swarm of objects were a cluster of about 11 to 14 objects traveling in a group and heading west I think. Im not good with directions. NOTE: The above image is a rendering. 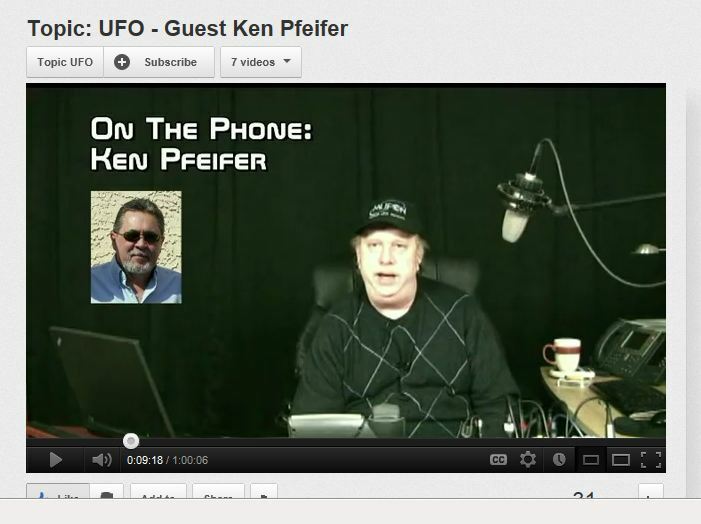 MY RADIO INTERVIEW OF 4-12-12 WAS AIRED ON 4-15-12 BY TOPIC UFO. I had just clocked in for work, so I know it was 5:30 am. I’m always there before sunrise. I stepped out of the meeting room, where the time clock is and I don’t know why I looked up but there it was moving less than 5 miles an hour in an easterly direction. It was completely silent, and it was as big as a football field. I could tell how big it was because it was a clear morning and the stars were shining and as I looked up I couldn’t see the stars, I could only see them further over past the outline of this triangle shaped ship. It was only about 500 feet above me as I watched it in awe as it moved slowly east, then in an instant it streaked across the sky so fast that I couldn’t hardly follow it with my eyes. Afterwords I felt like I had worked a whole day, my adrenaline must have been pumping hard while I was looking at this thing. It only lasted a few seconds but seemed like longer it was like everything was in slow motion while I was walking and looking up and then all of a sudden it just picked up speed and streaked away towards the north east. NOTE: The above image is a rendering. I took my little dog out for a walk late, I like to look at the stars as I am in the country. 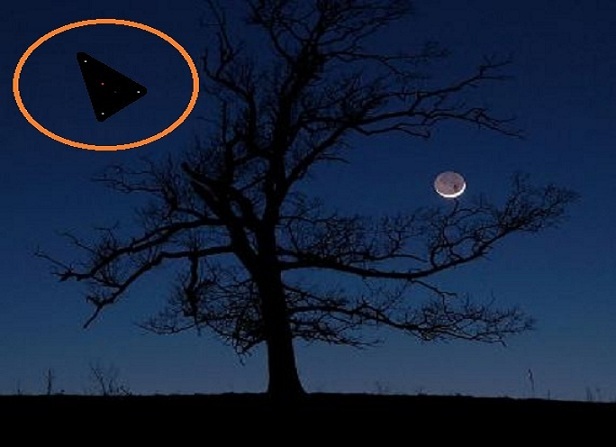 While at the end of my driveway I looked north, up the highway and saw a large narrow object hovering but as I watched, it was really moving very, very slowly just above the tree tops. I looked and my dog was not noticing it at all, no reaction as there was no noise. I am hear of hearing for high pitch but the dog was not interested so I say no noise at all. I kept thinking I should hear a hum, with it up in the air with no wings or propellers. It was a narrow rectangle shape. Gray, with a small redish lighted done on top and a amber small light. Across the area I was looking at were 3 or 4, I am not sure of number now as I was more impressed with the big round cicle white lights, that I thought of as engines or something, there were no flames, or waves of air, that I could tell but they were the whitest white I have ever seen…I am an artisan and now no lights or color white look white to me but rather have a dull yellow or amber tint. The large white circles were also next to an area that seemed to be black vertical bars or vents on about a third of the entire rectangular area to the left. The lights on top had low irregular flashes within them, nothing like the lights on planes. No light projected in any fashion on to road or trees. I did not feel fear, just wonder and curious, I could see the sky around it, sides and below. I tired to judge the size and posistion by the tree tops, width of the two lane highway and its dirrection of movement. It seemed to be as wide as the highway it not a bit more, even as high as the pine tree it was close to. There was no wind movement of the tree as it crossed over them. I just stood there and watched it, as I figured to run in and get the camera, it would be gone; also to get my car keys to follow I figured the same. After it reached the forrest edge on my left side, I just walked slowly toward my house, trying to figure if the Airforce Base to the southeast of me might have any hoover craft, trying to think of what it could have been, when I hear a deep rumble rather like the trains sometime have but it was a short sound then total quiet again. I went in and just went to bed, I guess I was in wonder or shock, and then the next day or two, there was an unusal amount of jet flights and even for two nights helicopters with bright green and red lights on their runners that didnt blink flying around my area. Two days after I looked online for a place to report it and could not get any of the links with MUFON of GA to work so told my son, who lives above Atlanta, about it. He is the only one I have talked to about it, I am a mature adult and have only seen one other thing when I lived in north GA which was a white ball like a star take a 45 degree turn in the night sky, my younger son was with me then. Im still haveing trouble finding the right box in my mind to put this, as I can not relate any thing I know to it other than Science Fiction and this thing was real !!!! I still feel no fear to walk my dog and watch the sky but man, What was it ??? Note: The above image is a rendering. From my car on motorway A6 Luxembourg country , I was driving from west to east at average speed of 110 Km/hour and about 1 kilometer south of Luxembourg city. The weather was very cold ( -5°C) and the sky was dark blue crystal clear. UFO had Sharp borders and no tail. It was a deep black color and it was very visible due to backgrounded dark blue sky. It also has 3 average sized white lights and an average sized red light at the center. I would say 2 more blinking white light near the center of theTriangle. The side length is at least 100 meters. The flight was at a very low altitude and it flew straight from south to north going right above Luxembourg city. Our convention aircraft are not allowed to fly this path over Luxembourg. The object was almost right above me. The UFO Speed was quite slow. I didn’t notice any particular sound. I eventually lost sighting due to the motorway direction. I often use this motorway at about the same time every day . NOTE: The above image is a rendering. I was sitting in my truck looking West and caught a very white bright orb/UFO in the North at daybreak. It was heading South slowly just wobbling and flying above the ocean inland (very low) taking its time. As I got out of my truck and started to video and speak the orb winked out. This orb/UFO was very silent, and all you could hear was the small waves hitting the shoreline. At this point I got back in my truck in hopes it would return. It reappeared at 0600. Due South appeared to be its course, and there was a tinge of yellow with white now. Once again, I got out of my truck and proceeded to get videos and pictures with my Nikon digital camera. This time the orb/ufo stuck around for few minutes and would just hover in one spot as I watched it and snapped more pictures. This object remained silent. Within a few minutes out of nowhere, and I am in the middle of no-where, a large sounding vehicle was coming down the road from the South East. I am 28 miles from town out in the National Forest and a large vehicle, which when it turned to come down the hill and intrude upon my UFO sighting moment was actually a tow truck. I was thinking to myself, what in the frick is that doing out here at this time of the morning. There were two men, they both got out not only looking at me, but then looked at the beach and rocks below. I continued my sighting adventure. 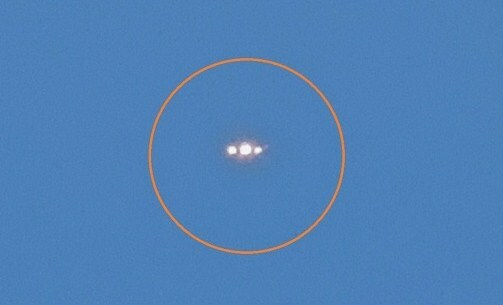 My UFO started to flash red, white, orange and yellow and start to accelerate and ascend to the South silently. This I had seen many times before with similar objects. As I looked through my binoculars once again I could not identify it and it resembled the others I had seen in prior sightings. 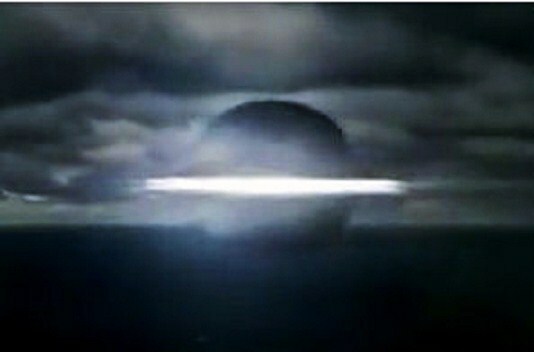 It was flat with alot of bright white lights, and red flashing on the bottom, with some orange..tints of yellow. It like the others, headed towards the small mountain ridge to the South East and then disappeared. Just like that it was gone. As I headed home exhaustion and fatigue would over come me, so I ended up sleeping most of the morning until 11.45 am. In the evening, I was with my girlfriend and we had been discussing paranormal events in her area, so we went to the one location she was most unnerved by so as I can identify the feeling she had gotten many times before. The whole evening I had been observing the stars but as we were at the location that held paranormal interest. I noticed a very bright red star-like object in the sky. I stopped and said “Ah would you look at Mars!”. A moment passed until I realised that it could not be Mars at all, for Mars was behind me to the left of the moon! It then hit me that the red light this object was emitting was incredibly vivid and growing in intensity. I then reached into my pocket for my phone to take an image of the light. As I did my girlfriend noticed the object began moving. I raised my phone and though I doubted that it would even pick up the light from this object it most certainly did. My Girlfriend and I then stood and followed with our eyes as this red glowing object had really started to move right past beneath the “big dipper” and close to Mars. 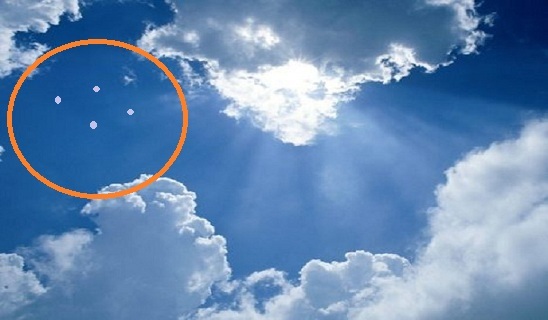 Remember earlier I had said Mars was behind me opposite from where this object was. Then it stopped dead in its track and began dimming and getting smaller which in my opinion mean that it was moving away from the earth now. I wish I could say I’ve been surprised by this but truth is, I’ve seen a lot of craft before including spheres, triangles, and a saucer. I have also noticed that when ever I’m with my girlfriend, I tend to see things more frequently. 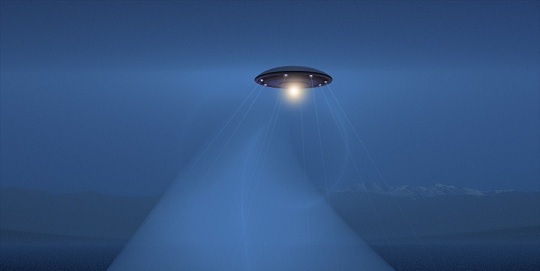 I’d also appreciate any form of contact with someone in MUFON as I have a photo of what clearly looks like a cloaked saucer in mid flight with an energy field around it. Chasing UFO’s is my hobby. Last Week we had great weather in the UK and using this opportunity, I decided to camp and skywatch for a few days in Wiltshire, UK. I was on my way home from my camping and was walking down from Tan Hill towards West Kennet in Wiltshire, where I saw this bright object in the field down below. First I thought it was some people wearing bright clothes while working in the field. Seconds later I realised that this object was moving around the field in random direction, so I thought it was maybe some kind of plastic shopping bag flying around with the wind. I dropped off my heavy backpack and puled out my video camera, and zoomed in to the object. It was around 12:15 UK time and air condition wore foggy and cloudy. Tan Hill is 294 m above see level and this (where filming took place) approximate location is at around 250 m above see level, I guess. Due to the cloudy and the sunny condition, visibility was very poor and I could barely see anything on my camera LSD monitor. 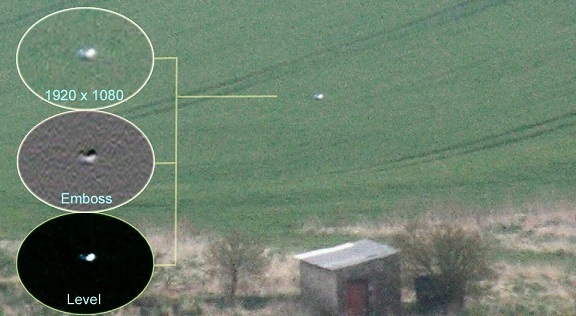 For those who photograph may know that mixture of sun and thin cloud can make you blind at some point, and this condition in photographic terms called spread light. It was quite difficult to find farm building on the monitor, but I was very happy this building was there, which I used as orientation point to zoom in. For better framing I kept looking in to the field and back to the monitor, and soon this object looked like have melted out from my view, perhaps plummet into the ground ? In the morning hours on this particular day, I drove back South to our UFO sightings area after I dropped off my fiance for work at a mine boat. Upon my arrival I parked in the first pull off to the South where we saw the two orange orbs/ufos in the earlier am around 5.15 am. I sat there for a bit and decided to take pictures and videos of the Canadian Geese and Mallard Ducks. I took a few pictures and then looked up and saw a very bright white orb/ufo at 0612 in the distance over the island where helicopters and other UFOs have been seen by myself and two other family members over the months. I was very excited to see it especially during the daylight hours. It was so very, very bright and totally awesome! 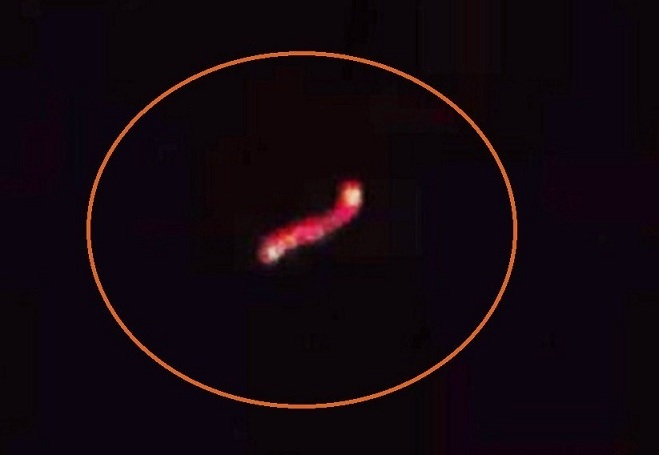 I then started to take videos and pictures of this UFO. Observing it through the binoculars revealed it was flat, and had very bright diamond like flashing lights around the edges. It continued hovering and moving slightly inward for about 5 minutes until it appeared to tilt on its side/axis and then winked out. Or so I thought. I then saw it up against the clouds with flashing white lights. It then flew East, with red/white flashing lights and quickly out of sight around the mountain ridge. On my way home, I felt really fatigued so upon arriving home 4 miles away I went back to bed and slept in. I was out at approximately 2 AM. I’m a late night person due to the hours I’ve worked in the past. This particular evening it was summer, a nice clear night, like a mirror clear. Then something came into view from the west which caught my eye. I looked over at this lighted item. I looked at it and more intensly due to it seemed to be coming towards me and it seemed to be spinning! Well at this time I dropped the hose, ran into the house and grabbed my camera. This was a digital camera-lumix-12 X zoom-25-mm-wide angled. So when I came back outside, it was still right where I left it. So I set my camera onto night time photo and started zooming in. Then the object started towards the mountain range. It was still hovering. I thought man this has to be a helicopter? But Ive seen many helicopters flying around in Colorado Springs, many times, at any time of day or night. 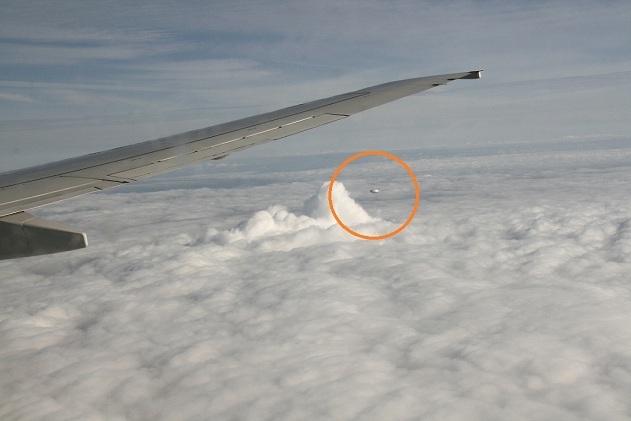 This was not one of them, nor a plane due to the obvious hoover motion. It wasn’t hoovering like perfect, it was moving like eradic from side to side and up and down. I started snaping the pics. It was closer to the mountain peaks by this time, so I was losing sight except for the bright spinning lights. I snapped one photo after another and this is what I saw when I downloaded them.